This picture taken in 'the pits'. 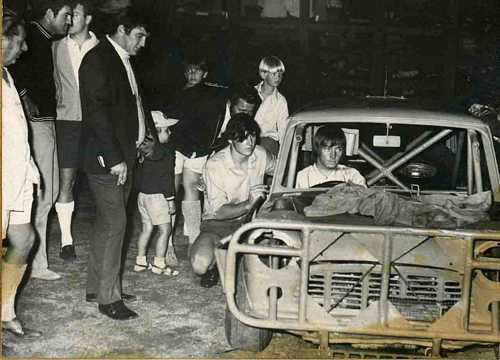 From L-R. On the extreme left is Bill Emberton (Dave's late father).Standing is yours truly looking down on George Blencoe our mechanic, with Mike Frost our driver in the car. We made this car over a Friday and worked all night through finishing it at lunchtime Saturday in time for Saturday night's races.